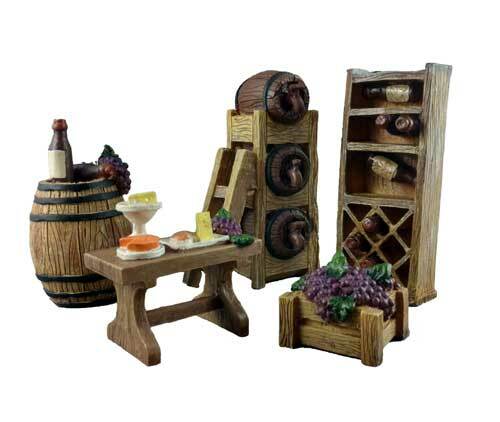 This charming 5 piece vineyard set includes a wine barrel shelf, crate, table with cheese and wine, and a wine barrel with bottle and grapes. The largest piece is 2 1/2"L x 1 3/4"W x 4 1/4"H. Made of resin. Perfect size for sand tray.